There’s a Saturday morning service this week in addition to our usual one on Friday night–and a Pajama Havdalah (with pizza!) on Saturday night. All are welcome! Deadline for submissions to the next quarterly bulletin is ASAP. Send articles to editor@temv.org. Following the service, those who wish may go out to dinner at a local restaurant. ​Shabbat Rosh Chodesh morning service and ​Torah ​Study. For the entire TEMV community: An hour-long Pajama Havdalah followed by pizza dinner. 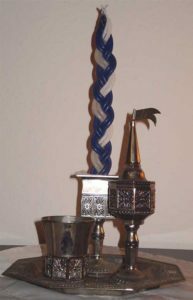 We will learn about Havdalah, the Saturday evening ritual that allows us to say goodbye to Shabbat. Please come in your pjs for a craft, a story, some singing and the beautiful Havdalah ceremony. RSVP for pizza dinner to pizza@temv.org ​or contact Sue Cornelliussen. All are invited to​ ​attend and participate​. First Sunday of the month, ​following Religious School​. ​Geared to grades six and above—but please always feel free to bring younger siblings.